We all know the pain of carrying around a laptop charger. Even with recent technological innovation, they are still somewhat bulky and heavy to carry around. Not to mention that they are limited by voltages and this makes it difficult to charge while traveling. 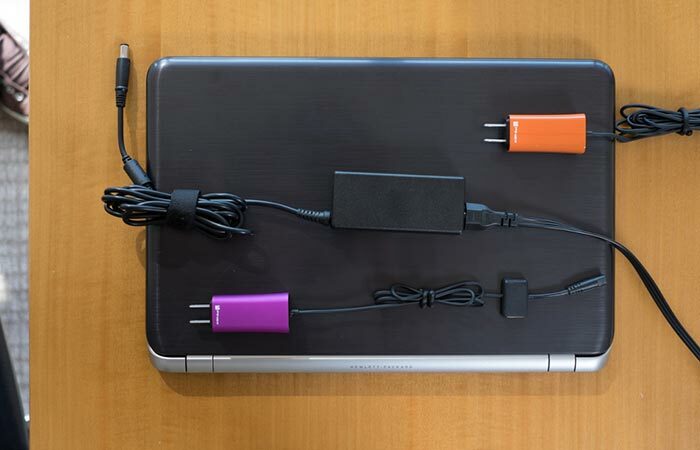 Luckily for us, a new device by FINsix, the Dart-C Laptop Charger, aims to completely change that. The Dart-C is a 65 Watt charger that is up to 4 times smaller and lighter than most other 65W chargers on the market. It also comes with a built-in USB port for added charging versatility. The FINsix Dart-C is up to 4 times smaller and lighter than conventional chargers. One of the most beautiful aspects of the Dart-C lies in the fact that it can charge everything. Apart from the 65W laptop charging capabilities, it also comes with a 2.1 Amp USB port. This allows you to quick charge your mobile, tablets, smartwatches and everything else that can charge via USB. All of this from a single outlet. Check out their Kickstarter video below. 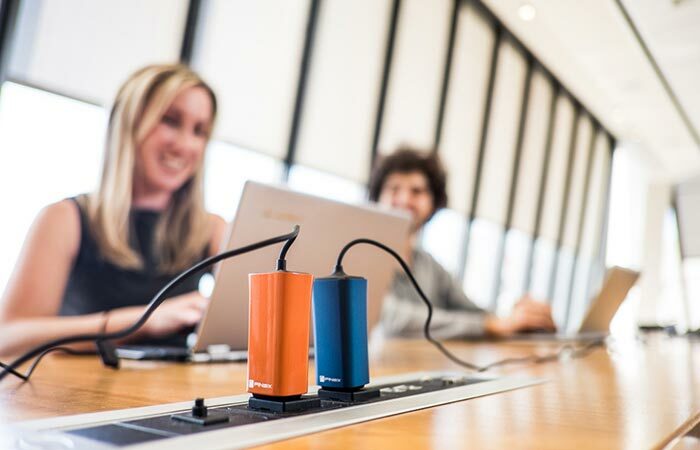 Apart from being able to handle voltages between 100-240 volts, which makes it usable anywhere in the world, they also feature a 2.1A USB port to charge your mobile devices. In addition to this, the DART-C is compatible with most major PC laptops. It can also handle voltages anywhere between 100-240 volts, which basically ensures that you can use it anywhere in the world. Furthermore, it has a variable output voltage of 18V to 21V. The Dart-C is also super small at only 2.75” long x 1.1” wide and only weighs 85 grams (2.99 ounces).